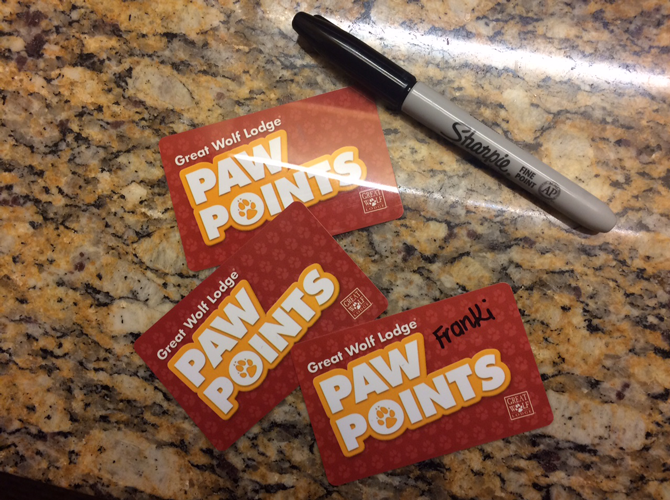 Are you looking for a comprehensive Great Wolf Lodge Packing List? Are you overwhelmed at the thought of your family vacation and cant even begin to think about what to pack for Great Wolf Lodge? Well, if that is you, you do not have any problems! 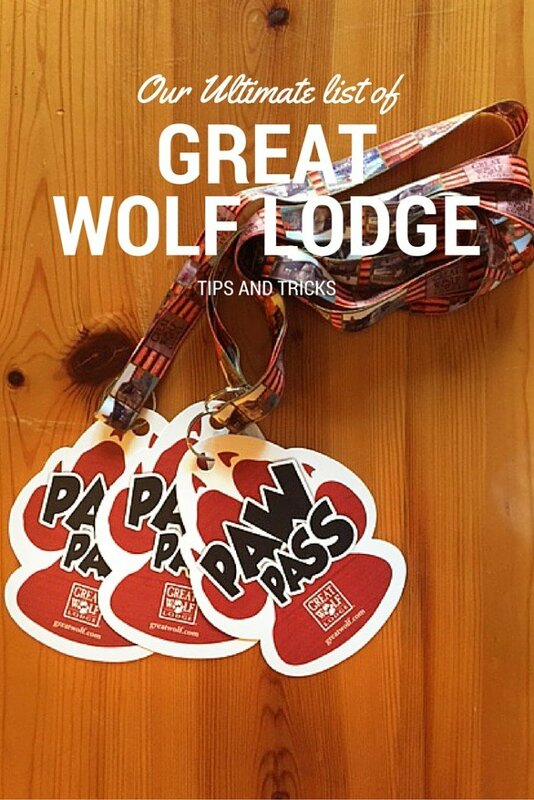 This Great Wolf Lodge Packing List post and list of Great Wolf Lodge tips will help you prepare for your first or your next visit! 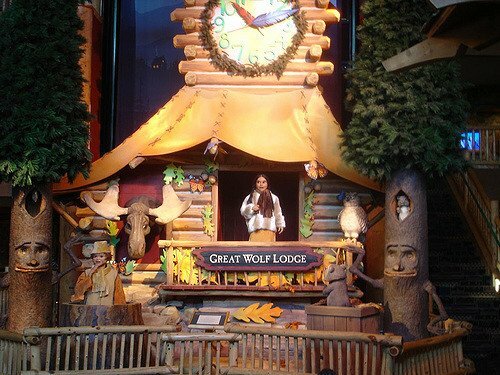 It includes an extensive list of what to pack for Great Wolf Lodge so you know what to bring (including food to bring to Great Wolf Lodge), what to leave at home, and what to expect on your visit! 6. DO NOT TRY AND DO EVERYTHING! 13. Pack your swimming bag separate from your suitcase. Great Wolf Lodge has airport style luggage carts in the main entrance. Take advantage of them on arrival, especially if you have packed in your own food! I have seen these carts loaded up with coolers, flats of water and a Costco bag of snacks, on top of luggage! Save a few trips to the car and grab one of these before your unload! if your mornings tend to start with more than one cup of coffee, consider bringing your own coffee and a small basket filter. The line ups for Starbucks in the lobby was always lengthy in the mornings. And besides, I am a Mama that needs coffee before even finding my glasses in the morning. There is a small 4 cup coffee maker in the room and you can brew in your room (they do supply the prepackaged in a filter coffee). 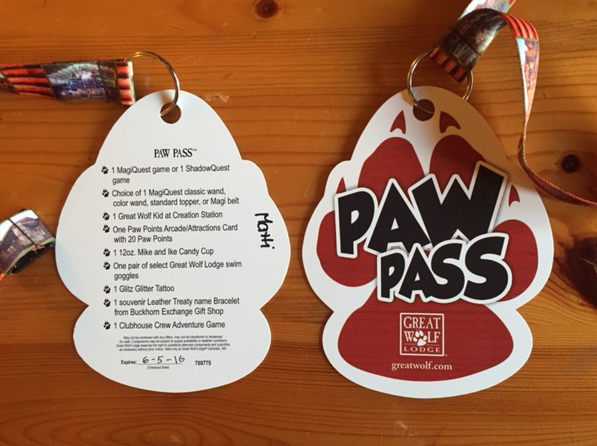 Great Wolf Lodge Pup Passes, Wolf Passes and Paw Passes are available to purchase. they offer up to 30% savings compared to purchasing activities by themselves. The MagiQuest Game is very popular (as is the ShadowQuest game for those who have already completed the MagiQuest) but it des require you purchase a wand and the game itself. 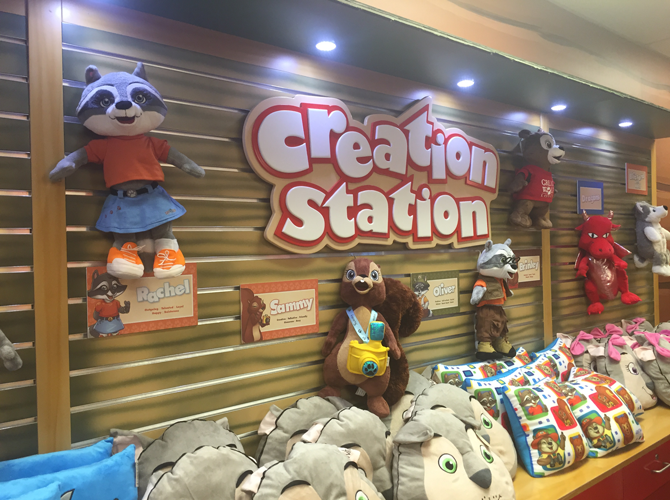 the PAW PASS and the WOLF PASS offer the wand and a game in addition to arcade credits, a Great Wolf Kid at the Creation Station and more! If the passes are not in your budget, discuss the options with your kids ahead of time and plan where you will and will not be spending your money. When expectations are clear, meltdowns can be much easily avoided! At the Grand Mound WA location, there is not a lot around the facility itself within walking distance: A gas station and a burger restaurant. There are lots of on-site restaurant options for meal times, but we have a pack of grazers in our group. On my list of what to pack for Great Wolf Lodge I have a sharpie. I always do”¦the kids have all sorts of goodies from wands, to arcade cards. Know who is whose and avoid the argument. Bring your sharpie. Trust me on this. I wrote our kids room number on their waterpark wrist band, so we could easily be located if our child could not find us for some reason. One of my best Great Wolf Lodge Tips is to NOT DO EVERYTHING! There is a LOT to do in a Great Wolf Lodge Weekend, and if it is your first trip, do not feel pressured to do EVERYTHING the resort has to offer! It is a waterpark after all, focus on the water park on your first trip and perhaps skip the arcade, or the spa, or MagiQuest (if you can convince your kids that is!). As you would imagine, after swimming all day and having dinner, most of the kids in the resort are now out of the water park and in the hotel. We found them mostly between the arcade and the MagiQuest game. expect to line up to check your missions or to defect your foes. if you do your MagiQuest activities in the mornings, they are much less busy. 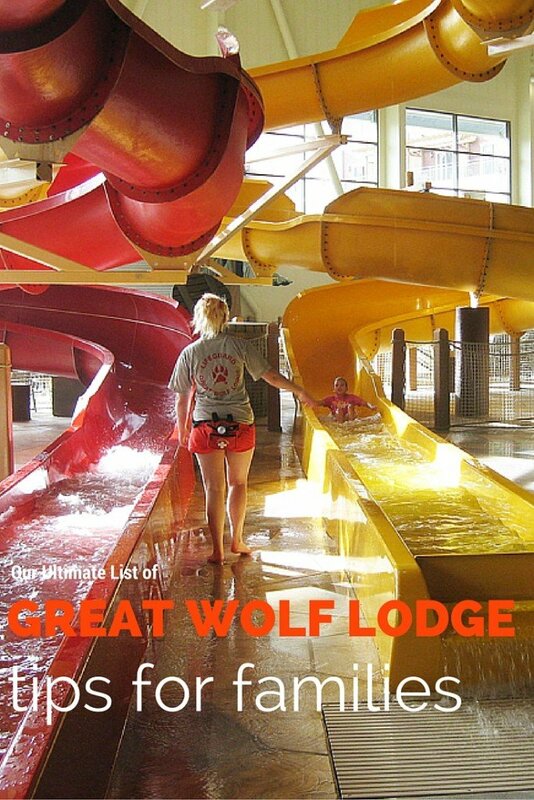 The next tip for Great Wolf Lodge is to check out the guide that is given to you at check in. With all of the excitement and commotion of arriving, it is easy to slip it into your bag and forget it. But I suggest that one of the first things you do is take a few minutes to read it! Included in your stay is your waterpark pass and various other activities that go on throughout the day. Pop online before you visit and print out the timetable of what is happening while you are there, so you are a bit prepared. There is a lot going on from story time, to dance parties, to kid’s yoga! When you decide what is important to you, schedule your time around these activities. The pool is going to be less busy at dinnertime and story time and after dinner everyone is roaring around in the hallways playing MagiQuest. If you want to get the most out of your stay, try and get into the pool for the non-peak times if you have avid swimmers! Great Wolf Kid Options at the Creation Station at Great Wolf Lodge. My boys picked the dragon and had a great time stuffing him (although the machine is very loud). Pool towels are to remain at the pool. Our littles were chilly when they left the pool, and now I know why parents brought their own pool towels. So you can wrap up the kids, and head back to your room, warmly. I would bring one next time for sure. Some people say not to bother, but for our family, it was nice to have one. Kids Towel Robes are also a great alternative to a towel. Depending on the age of your children, it may also depend on where you choose to sit, or set up your home base. I am a bit of a helicopter Mom, and I like my 5 year old to be able to see me, and be easy to find, not that I let wander too far. We spent 98% of our time in the little people area. With 3 kids 5 and under, this was the perfect little spot for us. If you are arriving at night, pop into the area and figure out where is best. If you are planning on spending the day in the waterpark or at least want a table to enjoy some snacks, Send ONE parent in the am, to grab a spot. People DO line up before the doors open. So if you want a table, and they are limited, best to jump on the band wagon. You can also rent a cabana if you want to be guaranteed a good spot, but the vantage point may not be ideal for your family. Dinnertime and later seems to be when the waterpark is the least busy. With parents who have had their children there since 9am, many have packed up so consider a pizza at the Hungry as a Wolf Pizza shop. Starting at just $14.99 for a large pizza, it is a great way to have a snack at the Waterpark and continue to enjoy the less busy part of the day. On the day you check in, you are able to access the facilities at 1pm. But your room may not be ready until 4pm. If your swimming bag is handy, you can change and enjoy the pool before your room is ready! On the day you leave, do the same thing. Checkout is at 11, but you can use the pool and facilities until the end of the day! They also offer an option to purchase late checkout. We use these wet bags to keep our swim stuff from getting everything else wet. If you are a military family or a first responder, Great Wolf Lodge offers discounts. Check their website for details! Groupon and Living social also often have deals. If you are not getting the Great Wolf Lodge emails, sign up to hear about promotions and save money on your stay. If you are trying to save money on your family’s visit consider booking in shoulder season. Stay away from school holidays and try and go midweek. That will give you the best deal. There are so many things to do at Great Wolf Lodge and without an action plan it can feel stressful to fit it all in. One of my best Great Wolf Lodge tips is to manage your expectations and do not worry about doing EVERYTHING on your first visit! We opted have Pizza one night for dinner and the buffet the second night. The pizza’s are similarly priced to a pizza at a pizza joint and will not break the bank. If you pack in your own dinner, I would love to hear your ideas! Also research nearby restaurants and you can always pop out of the lodge for dinner or lunch. We opted to stay on site and enjoy the experience without having to go anywhere. Have you Booked your trip yet? Northern Lights Arcade at Great Wolf Lodge are busy in the evenings. 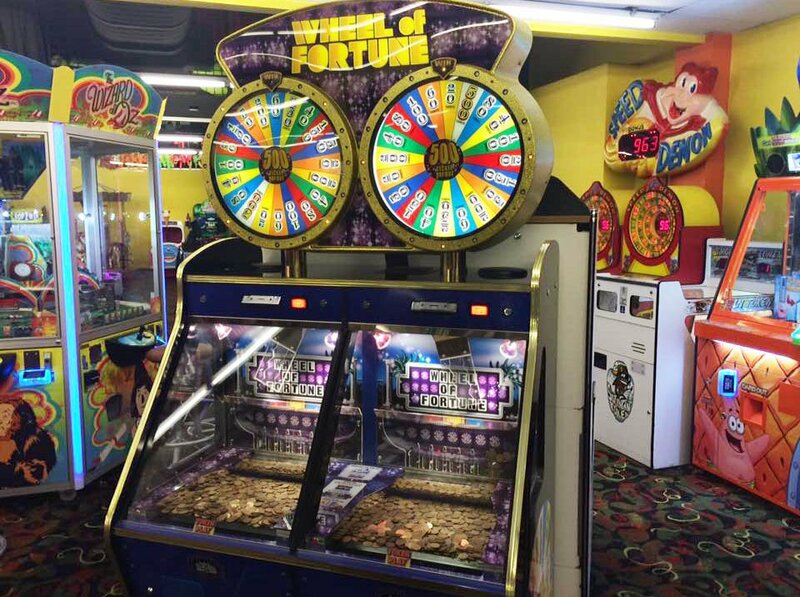 If you do not want to be overrun with kids, pop into the arcade while the pool is busy in the morning! You can get more info and read more about our experience at Great Wolf Lodge Grand Mound, Here. 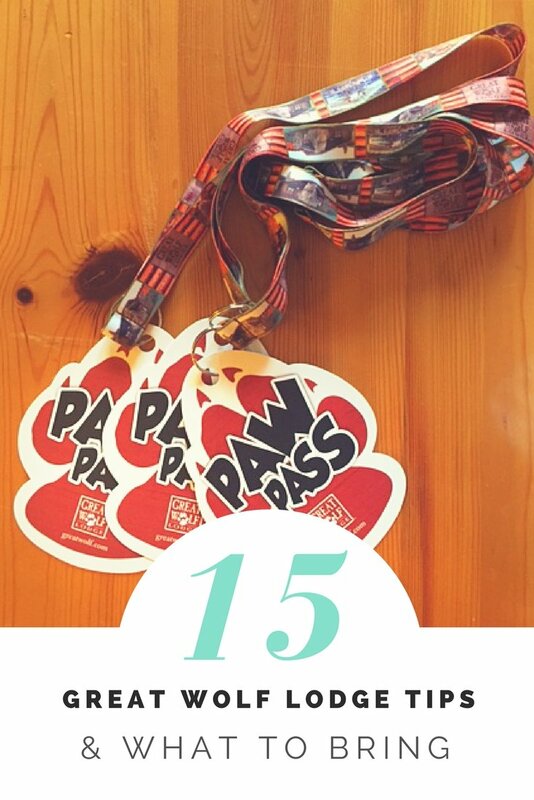 You can hover over these pinnable images of Great Wolf Lodge Packing List (or any image on my site) to quickly pin it ! Great tips! 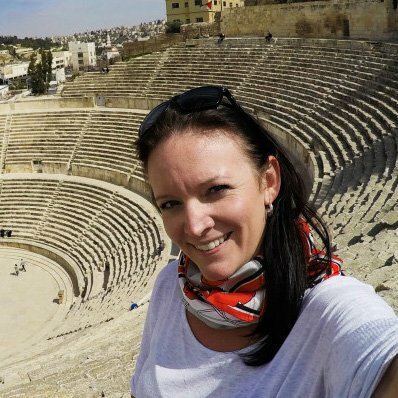 So glad I read this before my upcoming trip!! From everything I’ve been reading, Great Wolf Lodge seems like THE PLACE to go once our kids are a little older! Great tips for visiting a waterpark! I loved the idea of bringing snacks (kids get hungry playing in the water! ), the sharpie (brilliant! ), and not trying to do everything but instead just enjoying your time. We haven’t done Great Wolf Lodge yet. Honestly, those giant water parks/resorts stress me out. Perhaps your extensive list will help eliminate some of that stress! 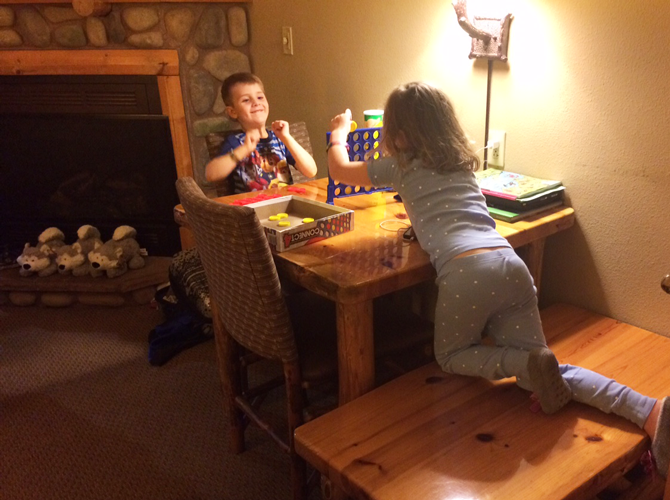 Francesca – Great Wolf Lodge is actually very manageable. if you check out our tip on “pick your vantage point” you can see wherever your kids are! Don’t need much food. A lot of the time, we skipped lunch and some times dinner, but most of it is good (I am bringing sun glasses). Yea the kids are so busy its hard to stop and eat! But some, like mine, end up in meltdown mode without food!